According to a recent ranking by AirHelp, a company that helps passengers receive compensation from airlines, Singapore Airlines is the best airline in the world. Hardly much news in that. Not taking anything away from the coveted title, but there is rarely a list these days, especially in Southeast Asia, that Singapore does not top. The 23rd International Conference on The Future of Asia focused on the region’s new landscape, one in which U.S. influence is on the wane. The anxiety was palpable, as political leaders and economic experts discussed the struggle to adapt. Hundreds of cars from Yunnan, southern China, packed Luang Prabang’s streets during China’s “Golden Week” holiday earlier this year, as tourists flooded the city’s 5,000 hotel and guesthouse rooms. Yet, there is not a single traffic light in Luang Prabang, the laid-back former royal capital of Laos, which was declared a UNESCO World Heritage Site in 1995. 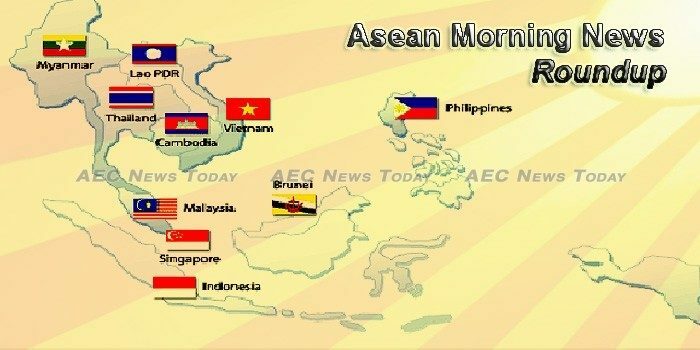 Japan’s Ministry of Land, Infrastructure, Transport & Tourism is set to sign an agreement with Asean members in October to help develop a refrigerated-distribution network across South East Asia. For the fifth year running, Singapore’s Changi Airport has emerged as the world’s best airport. The Changi has been so good in winning the crown that none of its neighbours in the Southeast Asian (ASEAN) region could give the Singapore airport a run for its money. The nearest competitor – Kuala Lumpur International Airport (KLIA) – was merely at 34th place. Fifty years ago, five nations in Southeast Asia formed an alliance to prevent the spread of communism and spur economic growth. Many CEOs are still broadly confident about global economic prospects. However, this optimism has dipped from 80 percent last year to 65 percent this year, according to KPMG International’s 2017 Global CEO Outlook. THE Asia IoT Business Platform series will be returning to Southeast Asia for the fourth consecutive year. Fuelled by growing adoption of 4G services and the internet of things (IoT) in Southeast Asia and Oceania, mobile data traffic in the region is expected to surge 11-fold by 2022, a report by Ericsson has found. POLICE, military and other government agencies held an inter-agency meeting yesterday for their security preparations for the Association of Southeast Asian Nations (Asean) meetings in Cebu City next month. Nestled between the South China and Andaman Seas, Malaysia is a historic trading center and strategic operating location – bordering Brunei, Indonesia, Singapore (via bridge), and Thailand by land and the Philippines and Vietnam by sea. Globally, dengue is estimated to affect 390 million individuals annually, mostly in the Western Pacific and South-east Asia regions. Airline food need not be bland and boring. The hardworking staff and kitchen team behind AirAsia make dishes on their planes exciting and satisfying through proper preparation, extensive research and constant kitchen tests. Westcon-Comstor will work with its channel partners and resellers to deliver UCaaS solutions, powered by Avaya IP Office to end-user customers. The Central Bank of Bahrain (CBB) has announced new regulations to create a regulatory sandbox that will allow startups and fintech firms to test and experiment their banking ideas and solutions. The creation of the regulatory sandbox provides an opportunity for fintech businesses around the world to expand and thrive in the Gulf and strengthens Bahrain’s position as a fintech and financial services hub in the GCC. CNRP lawmaker Son Chhay has formally asked Mines and Energy Minister Suy Sem to provide detailed trade records for silica sand, the only variety of sand still allowed to leave Cambodia after an export ban was enacted last year amid corruption allegations. Newly listed Sihanoukville Autonomous Port (PAS) reported a 30 percent decline in profits for 2016, despite increased revenue generation, due to what it claimed were losses in transaction values resulting from the appreciation of the Japanese yen currency. Two pieces of pending legislation in Cambodia that relate to the minimum wage and arbitration of worker-employer disputes are causing concerns for US apparel and footwear buyers. Every year, millions of tonnes of plastics are produced and trashed, with a small portion ending up in the sea, and gobbled up by tiny fish. Even though countries don’t report on how much plastic they are flushing, a recent study suggests that around 86% of the plastic running through rivers was coming from a single continent—Asia. Most Muslim tourists may have encountered difficulties finding halal food or places to pray when going on holiday or business trips. Halal Local, a marketplace containing halal tourism products has an answer for this very problem. Indonesia (EIDO) is one of the most favorable investment destinations for fund managers currently. Last week, S&P upgraded the country to investment grade on proposed budget curbs. According to the rating agency, the current fiscal policy and economic conditions are leading to lower risk in the country which opens it up for a wider range of investments. Almost 20 hydropower dams in Vientiane Province, with an expected investment of over 9.7 trillion kip or US$1.2 trillion, are under construction or are undergoing feasibility studies. Sangthong and LuangPrabang district residents will have better lives after the Chinese government granted over 40 billion kip (33.3 million CNY) to implement the Laos-China Poverty Alleviation Pilot Project. An agricultural company running a pyramid scheme in Laos has defaulted on millions of U.S. dollars owed to its stakeholders, leading observers to question why the government has failed to adequately regulate the market and inform investors about potential pitfalls. Malaysia initiated a special palm oil mission to the European Parliament in Strasbourg, France, on June 12-13 to discuss the European Union’s (EU) resolution on palm oil and deforestation. Bank Mandiri, Indonesia’s leading commercial bank, will be opening its first branch in Malaysia within the next few months. China Construction Bank (CCB) has been granted a banking licence in Malaysia, becoming the third Chinese lender to open in the country. A white book published by European businesses has hit out at Myanmar’s protectionist tendencies blocking or stalling liberalisation and cited tax inefficiencies as one of the top concerns among investors. Since its inception as one of Myanmar’s ‘new’ Special Economic Zones (SEZs) in 2013, the Kyaukphyu Special Economic Zone (KPSEZ) in Rakhine State has faced major challenges attempting to meet the interests of the local community while achieving genuine accountability and business probity. The government is upgrading electricity generation, transmission and distribution in Yangon Region, Daw Nilar Kyaw, minister of Electricity, Industry, Transport and Communication, told a news conference to mark the first anniversary of the government. Although a worsening infrastructure deficit, poverty and underemployment, and weaker global export demand have presented challenging headwinds, the Philippine economy is on track to surpass recent highs, making it the most likely to become the next “tiger economy” among ASEAN countries, according to the latest report by Oxford Business Group (OBG). The Philippines is the 11th most dangerous country for tourists, according to the 2017 Travel and Tourism Competitiveness Report of the World Economic Forum. PHILIPPINE AIRLINES (PAL) is spending $80 million this year to reconfigure its A330 aircraft which will be used to expand its services in “mid-market” destinations in the region. Economists surveyed by the Monetary Authority of Singapore have raised their growth forecast for the Singapore economy this year, up to 2.5% from 2.3% in the previous survey. Lippo Malls Indonesia Retail Trust (LMIRT) recently announced that it intends to issue $120m worth of fixed rate perpetual securities. The average Internet speed in Vietnam has risen to 9.5 megabit per second (Mbps) to take the 58th spot in the world rankings, according to a report by content delivery network service provider Akamai. The first cargo train on the 854-km route connecting Việt Nam and southwest China departed from China’s Kunming City for Hải Phòng Port on Tuesday afternoon. Director of the Authority of Radio Frequency Management (ARFM) Doan Quang Hoan has recently said that Vietnam needs to avoid ineffective investment and outdated technology in the transition from 4G to 5G.